She studied political science at the University of the Philippines, Visayas. She was Secretary of the Department of Agrarian Reform in the Philippines during the late 1980s and early 1990s. 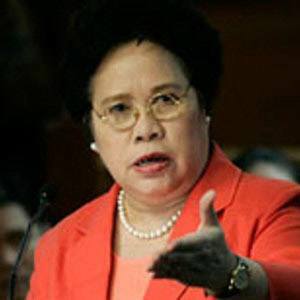 She was narrowly defeated in the Philippines' 1992 presidential race. She married Narciso Santiago in 1970. She served as Secretary of Agrarian Reform under the presidential administration of Corazon Aquino.